Who would have thought it? 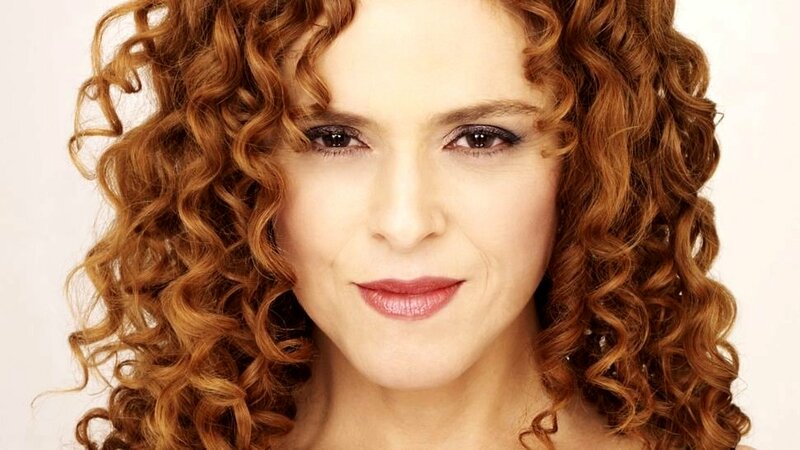 Possessor of the most impressive curly hair in showbiz and all-round brassy dame, Miss Bernadette Peters is seventy years old today... Gulp. A rare visitor to our shores, we would love to see her live, but at the moment, it appears she's somewhat preoccupied - having replaced Bette Midler in the current Broadway revival of Hello, Dolly! She obviously has an amazing doctor or one hell of a Dorian Gray painting in her attic. I've always liked her. I may be the only one who remembers the Norman Lear TV show All's Fair, where she played the left-wing girlfriend of right-winger Richard Crenna. And I happen to have an envelope from "All's Fair" that I snatched when I worked at Tandem for 2 1/2 seconds 40,000 years ago. You do know who Norman Lear is. Creator of All in the Family, Maude, The Jeffersons, One Day at a Time, Mary Hartman, Mary Hartman, just to name a few. I know the UK's seen some of those. Richard Crenna was an actor, you also have probably sen him in a thing or two. As for All's Fair, most Yanks wouldn't have ever heard of it. I was surprised to see its mention here! Nope. We never had All in the Family (that was a remake of the British comedy Till Death Us Do Part), nor Maude, nor Sanford and Son (the US remake of the UK's Steptoe and Son), nor any of the shows on that list. American shows we did have in the 70s included M*A*S*H, Happy Days, Rhoda, Starsky & Hutch (and all the archetypal cop shows such as Kojak, Columbo, Cannon, Police Woman etc), The Waltons, Little House On The Prairie, The Six-Million Dollar Man, Petrocelli, Banacek, Charlie’s Angels and several more that have probably slipped my memory. I the only reason I remember All's Fair is because it was the first I heard of Bernadette Peters. At that point in her career, I don't believe she was the Broadway star she later became. This isn't Soul Train, honey - back it up!